Netflix has announced that they’re bringing the world of the Gerard Way and Gabriel Ba comic series The Umbrella Academy to life with a 10-episode series order to premiere in 2018. 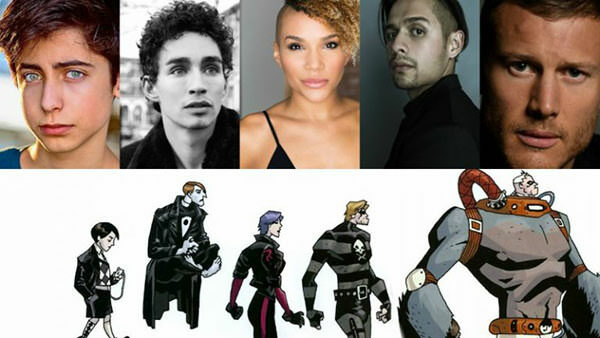 Based on the popular, Eisner award-winning comics and graphic novels the series follows the estranged members of a dysfunctional family of superheroes (The Umbrella Academy) — The Monocle, Spaceboy, The Kraken, The Rumor, The Séance, Number Five, The Horror, and The White Violin — as they work together to solve their father’s mysterious death while coming apart at the seams due to their divergent personalities and abilities. Published by Dark Horse Comics, the comic series garnered much praise from fans and critics alike for its alternate and twisted take on the superhero genre. 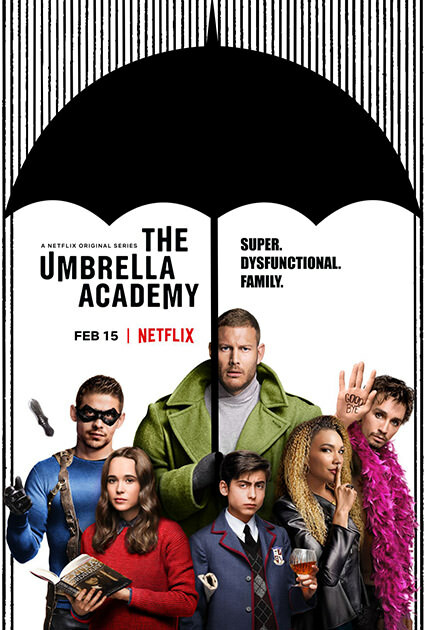 “I am thrilled that The Umbrella Academy has found a home at Netflix. I couldn’t think of a better place for the vision Gabriel Ba and myself had when creating the comic, and cannot wait for people to experience that world as a live action show,” Way said. The series has previously been in development for feature adaptations, none of which have materialized, but has been shopped around for TV since 2015. 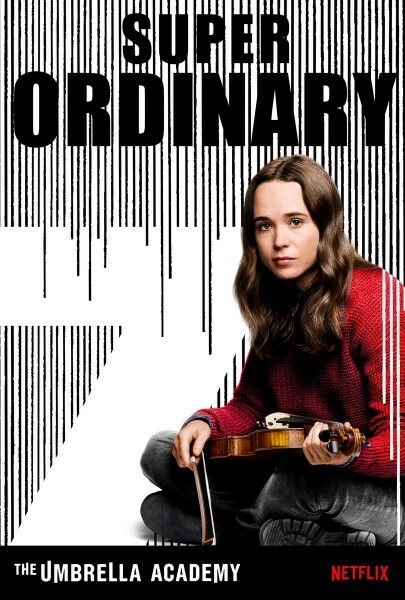 Ellen Page has been cast in the upcoming Netflix adaptation of the popular comics and graphic novel series “The Umbrella Academy,” Variety has learned. 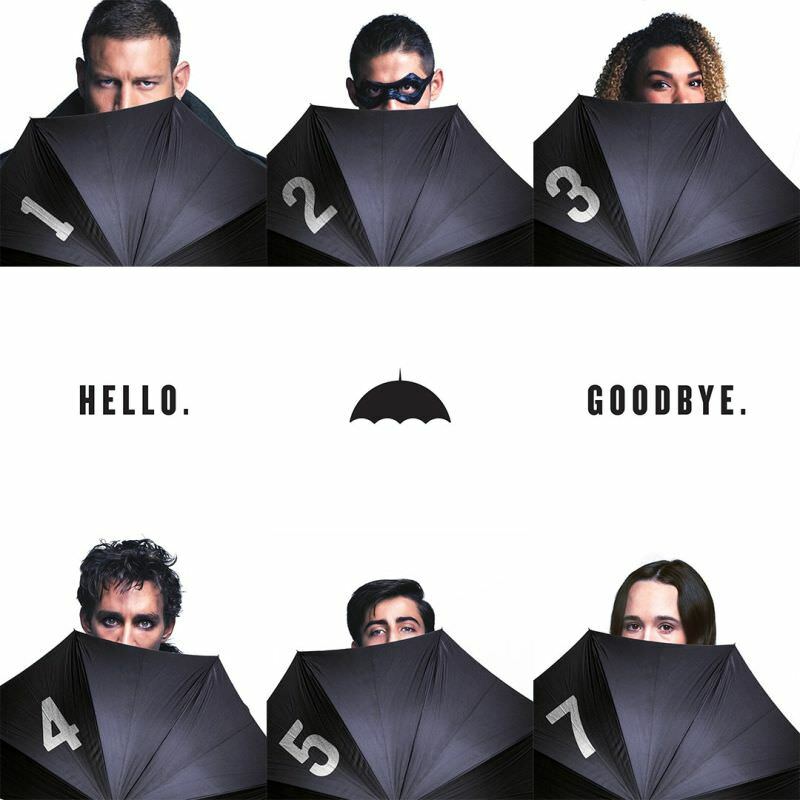 The live action series follows the estranged members of a dysfunctional family of superheroes (The Umbrella Academy) – Luther, Diego, Allison, Vanya, Klaus and Number Five – as they work together to solve their father’s mysterious death while coming apart at the seams due to their divergent personalities and abilities. Page will play Vanya, the black sheep of her family. She’s the only one of Reginald Hargreeves’ adopted children with no supernatural abilities. A meek and insecure wallflower, Vanya struggles to find her place in the world. 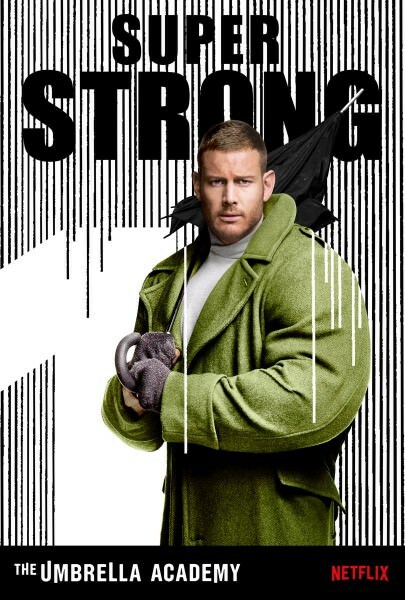 Tom Hopper (Luther) – “Luther” was groomed by his father from an early age to be the leader of The Umbrella Academy – a responsibility that has always weighed heavily on him. He is resilient, a workaholic, and possesses the ability of heightened physical strength. Upstanding to a fault, Luther always tries to do the right thing, even if that means putting others before himself. Emmy Raver-Lampman (Allison) – “Allison” is beautiful, elegant, and a formerly world-famous movie star who possesses the power of suggestion – anything she says aloud comes to pass. Her life seems perfect from the outside, but her ability has undermined every relationship she’s ever had. With her career on the decline and her marriage in shambles, she refuses to use her power as she seeks a more authentic life. David Castañeda (Diego) – “Diego” is a skilled, intense vigilante who has a real problem with authority. He isn’t as naturally strong or smart as his siblings, so he’s worked three times as hard for everything. Believing he should have been the leader of his family instead of his brother, he carries a massive chip on his shoulder that makes him hostile to just about everyone. 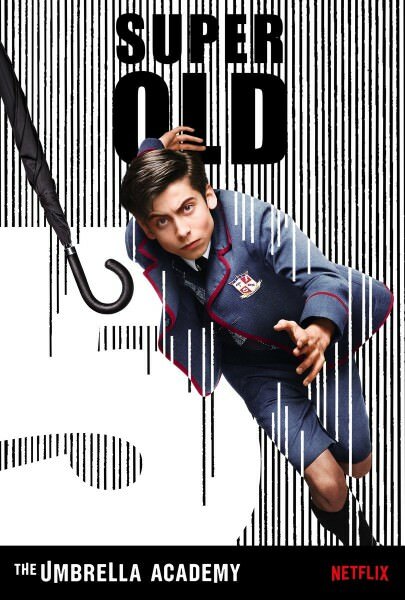 Aidan Gallagher (Number Five) – “Number Five” appears to be a thirteen year old boy, but in actuality he is a fifty-eight-year-old man trapped in the body of a child. He doesn’t suffer fools and is the smartest person in the room. He’s haunted by the things he’s seen and done, and is on the verge of losing his grip on reality. Robert Sheehan (Klaus) – “Klaus” is a drug addict and lovable mess of a human being and yet, if you ask him, any day now his life is going to turn around. He’s a classic “middle child” – a disarming pleaser who is seemingly everyone’s friend, but will rob you blind without thinking twice. Netflix has announced nine-time Grammy winner and two-time Academy Award nominee Mary J. Blige (Mudbound) is set to join the cast of the upcoming The Umbrella Academy. Blige will take on the role of “Cha-Cha,” a ruthless and unorthodox hitwoman who travels through time to kill assigned targets. Even though she has a few gripes about the bureaucracy of her employers, this job is her life. She is sadistic, sociopathic, and her reputation precedes her. Her true love is torture, and she thinks of herself as a “pain artist.” She really doesn’t care for people—except for her partner Hazel. 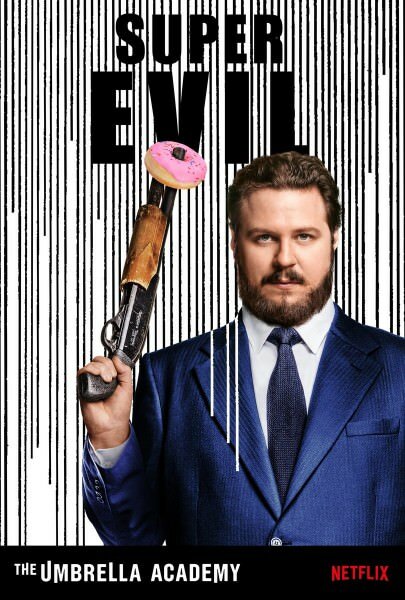 Cameron Britton (Mindhunter), Colm Feore (House of Cards), Adam Godley (Breaking Bad), are set as series regulars and Ashley Madekwe (Revenge) will recur in The Umbrella Academy, Netflix’s upcoming live-action series from Universal Cable Prods. Britton will play Hazel, an infamously ruthless and efficient hit-man, currently under contract. His job is to time travel and assassinate targets in different decades. Though a loyal company man who has enjoyed what he does for decades, the job starts to wear on him — which puts him at odds with his equally lethal partner, Cha-Cha (Mary J. Blige). Feore will portray Sir Reginald Hargreeves, a world-renowned billionaire industrialist and eccentric inventor—Howard Hughes meets Elon Musk. He is also the adoptive father of seven children who were born under mysterious circumstances and have supernatural abilities. Hargreeves deprived them of any normal childhood, instead relentlessly training and manipulating them into a dysfunctional team of young superheroes. In a voiceover/motion capture role, Godley will play Pogo, a genetically engineered, tweed jacket-wearing, talking chimpanzee. He is the trusted, wise aide and companion to eccentric billionaire Reginald Hargreeves. Much beloved by the Hargreeves’ adopted children, Pogo tries to carry on his deceased master’s legacy by keeping the siblings together. Madekwe is Detective Patch, a driven, fast riser within the police department focused on solving a string of crimes in the city. Some might call her arrogant, but she gets the job done, and with charm. She plays by the book, but that doesn’t make her soft. She isn’t sympathetic to vigilantism–which puts her at odds with a certain sibling of the Umbrella Academy. Kate Walsh has joined the cast of upcoming Netflix original series “The Umbrella Academy,” the streaming giant announced Wednesday. Walsh, who also stars on Netflix’s “13 Reasons Why,” will feature in the recurring role of The Handler, a composed and confident leader of a mysterious bureaucratic company. If you're wondering where #6 is, he's dead. The Netflix series will make its debut on February 15, 2019. 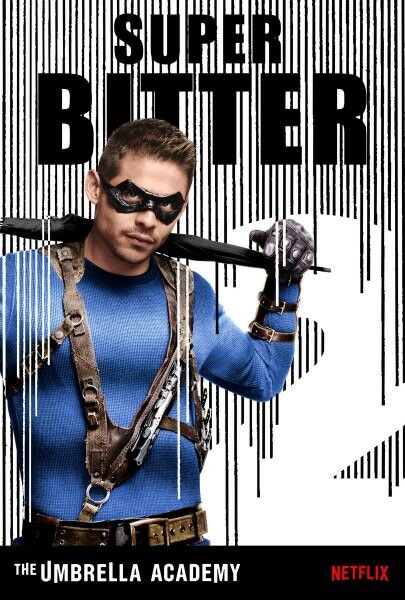 Featurette: Who is The Umbrella Academy? Gulat ako sa itsura ni Gerard Way now. The comics started way back 2007 & won the Eisner Award for Best Limited Series. Volumes 1 & 2 were excellent, with great art by Gabriel Ba. 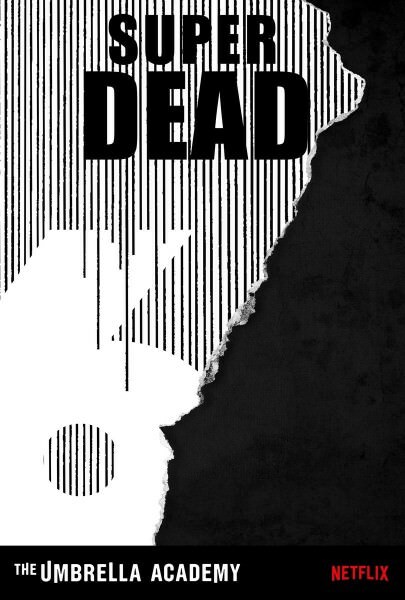 The collected Volume 3 will be released this August 2019. Klaus really has a punchable face, geez such an annoying character.